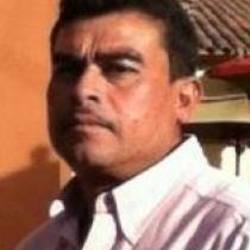 Police shot and killed Roberto Ortiz Sanchez, 45, Monday night, December 14, 2015 outside his northeast valley home — the same residence police responded to just five months earlier on a July morning when the man's 23-year-old son fought back against a pair of armed home-invasion robbers, shooting and killing one. Sanchez was at work that summer day when his family was held at gunpoint, a family member said. He owned a gun for protection. On Monday, Sanchez was home, and police said he pointed that gun at officers in front of the family's home at 3869 King Palm Ave., near Pecos and Alexander roads. And when he failed to put it down after they told him to, one officer fired "several times" about 9 p.m., Metro spokesman Larry Hadfield said.